Base Speed increased by 12. Gear Reworked to give more STR as main attribute. Description: Anti-Stealth Jedi Tank with reliable dispel and powerful allied bonuses that shuts down enemies. Deal physical damage to target enemy and dispel all positive status effects. 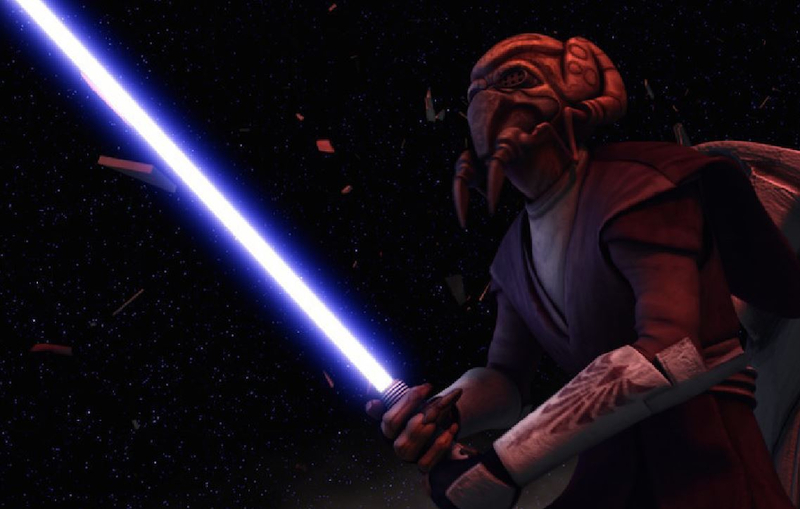 If an enemy is dispelled, Plo Koon gains 30% turn meter and Protection Up (30%) for 2 turns. Deal physical damage to all enemies and inflict Offence Down for 2 turns. This attack also has a 75% chance to Stun enemies for 1 turn. Plo Koon dispells all debuffs from himself and Ahsoka Tano, (if present). All allies gain Defence Up for 3 turns and 30% turn meter (doubled for Clone and Jedi allies). Clone allies gain Retribution for 2 turns and Jedi allies gain Speed Up for 2 turns. Jedi and Clone allies gain +25% Critical Chance and +75% Defence. In addition, they have a 65% chance to dispel Stealth from each enemy at the start of their turn. If they dispel enemies, they gain Offence Up for 1 turn and other allies gain 15% turn meter. If no enemies were dispelled or no enemies had Stealth, that ally gains Defence Up for 1 turn instead. ZETA - +5% Critical chance, +15% Defence, +10% Stealth dispel chance and other allies gain 15% turn meter on Stealth dispel. The reasoning behind adding a Stun to his Force Judgment is that this abillity is firstly unique to Plo. Second, this pretty much acts like a Jedi Force Lightning (not as intense and destructive). I also felt that his Leader abillity deserves to be special therefore, have added a ZETA. He was also an Excellent Leader and cared greatly for the Clones under his command. Overall good kit, but +75% Defense is too much, maybe +30%. But Savage’s leader ability at max gives Sith allies 75% defense, and 30% tenacity, while everyone else gets half that, and that’s only an omega ability. Nice kit! But I think he could use a unique ability. No, the 90% defense is fine. I figured since Defence Up isn't exactly a "good" buff, it could be high.